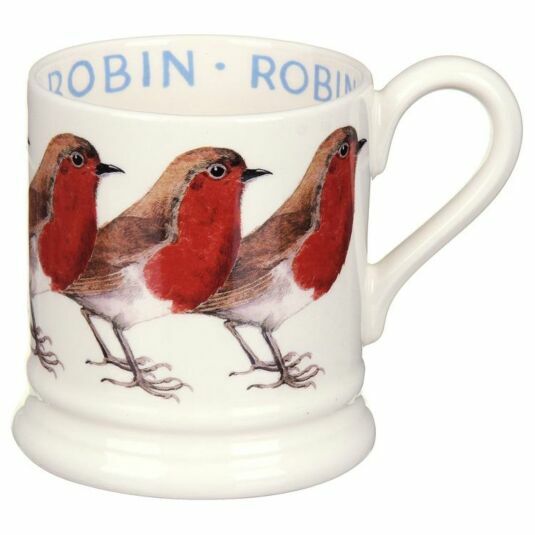 That most festive of birds, the Robin, is featured on this classic Emma Bridgewater tankard mug. Illustrated by Matthew Rice with great precision, the bird is displaying a full red breast, soft brown wings and a creamy undercarriage. 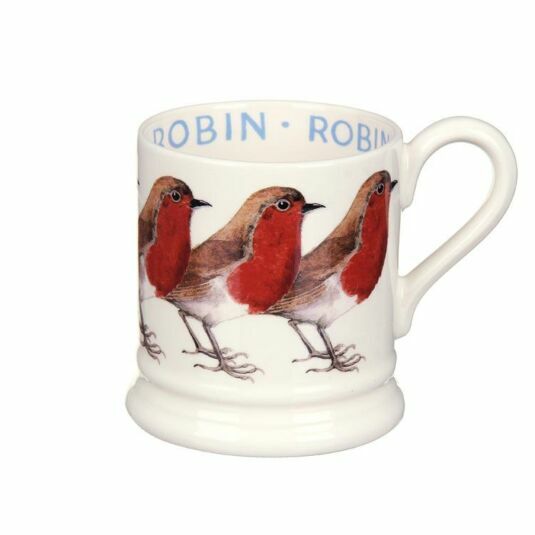 The beautiful portrait of our national bird is repeated all the way round the outside of the mug. Inside the rim the hand-lettered word ROBIN is repeated. 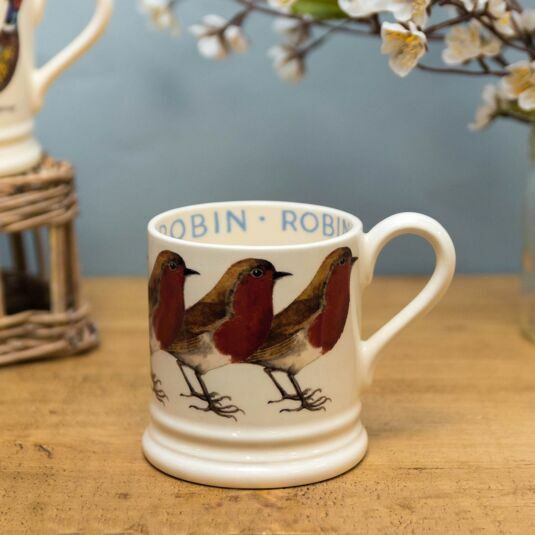 Although associated with Christmas, the Robin is a year round visitor to the British garden and this mug will also be welcome all year round. Anyone who loves birds will enjoy using this mug in any season. 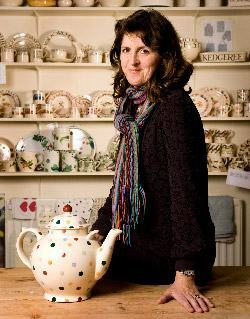 Beautifully illustrated by Matthew Rice, who is a keen gardener and bird spotter, the Animals Range from Emma Bridgewater will delight all bird lovers and nature enthusiasts. Countryside animals are brought to life on these delightful pieces of pottery. 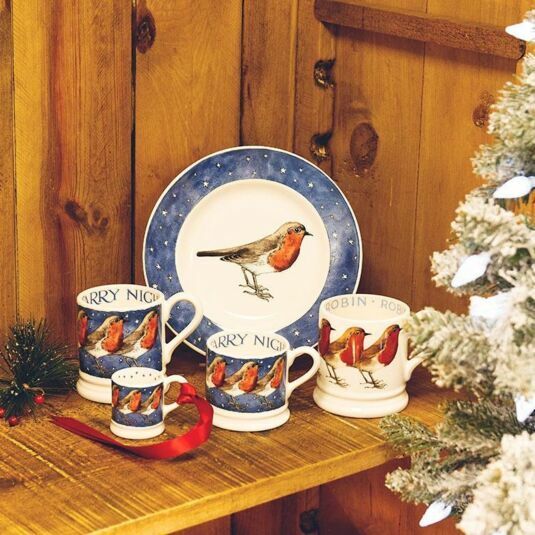 The items in this range, and the accompanying Birds range, make perfect gifts for ornithologists, animal lovers and anyone who likes spending time in the garden.